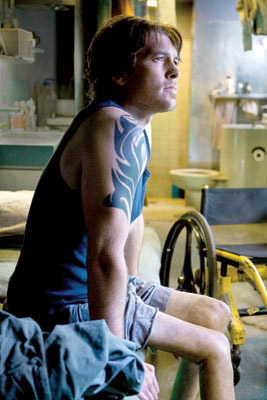 Sam in Avatar Deleted Scene. . Wallpaper and background images in the Sam Worthington club tagged: sam worthington actor avatar 2009 movie still photo jake sully james cameron. I wonder how they attached these legs to Sam.. they look so natural. what happened to his legs in avatar. I know Jake had a accident in Venezuela. I don't care if he has skinny legs,he is still hot to me!